Reflux (also called Gastroesophageal Reflux Disease, or GERD) is caused by a weak muscle in your esophagus called the Lower Esophageal Sphincter (LES). 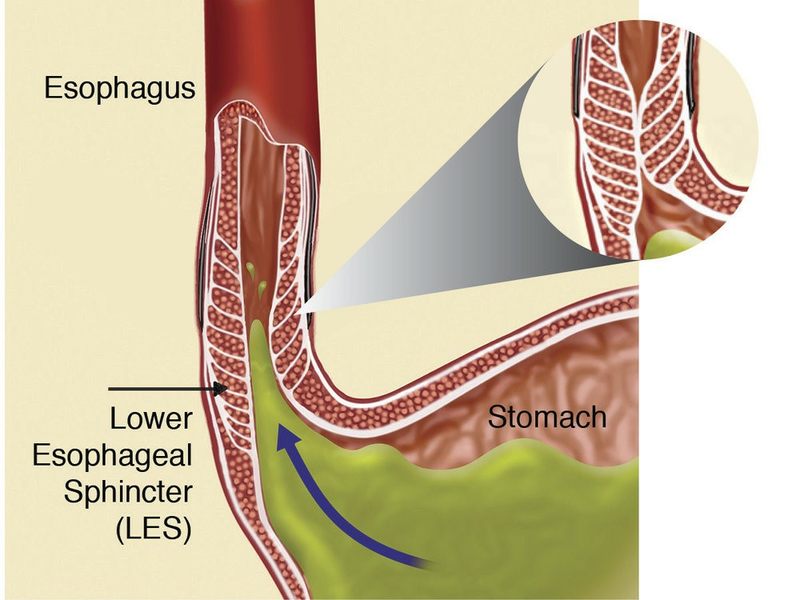 The LES is your body’s Reflux Barrier Normally your Reflux Barrier acts like a one-way valve, allowing food and liquid to pass into the stomach, but preventing stomach contents from flowing back into the esophagus. In people with reflux, the Reflux Barrier also harmful acid and bile to flow back in to the esophagus.